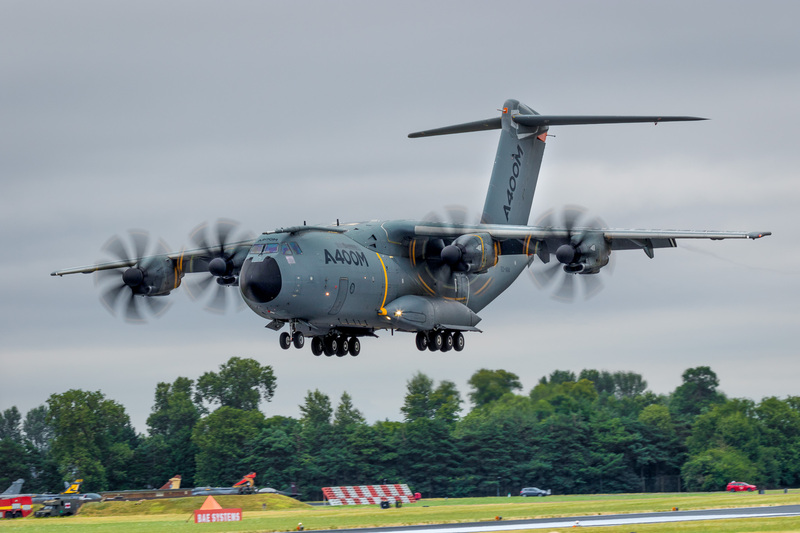 This Airbus A400 M will become the new workhorse off the Belgian Air Force in a couple of years when it replaces the Lockheed Martin C130 Hercules of the 15th Air Transport Wing. I will hate it when the Herc’s retire ’cause that is one heck of transporter. 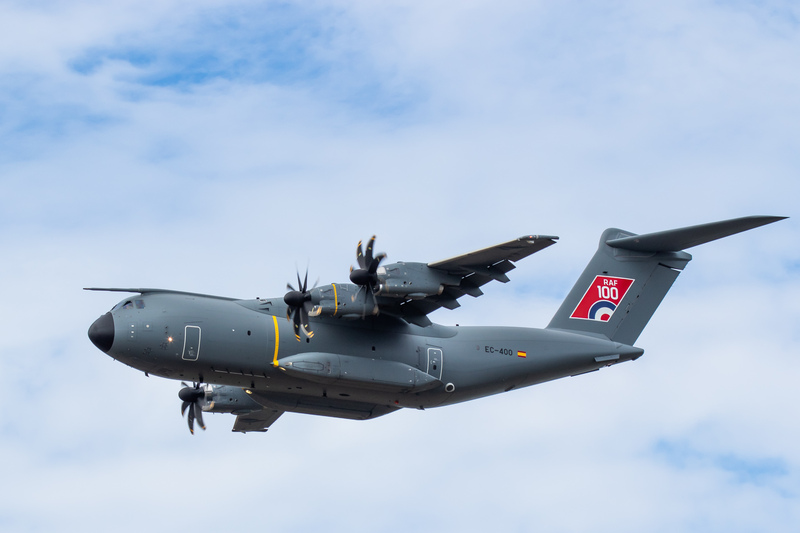 But the A400 M is really cool too. 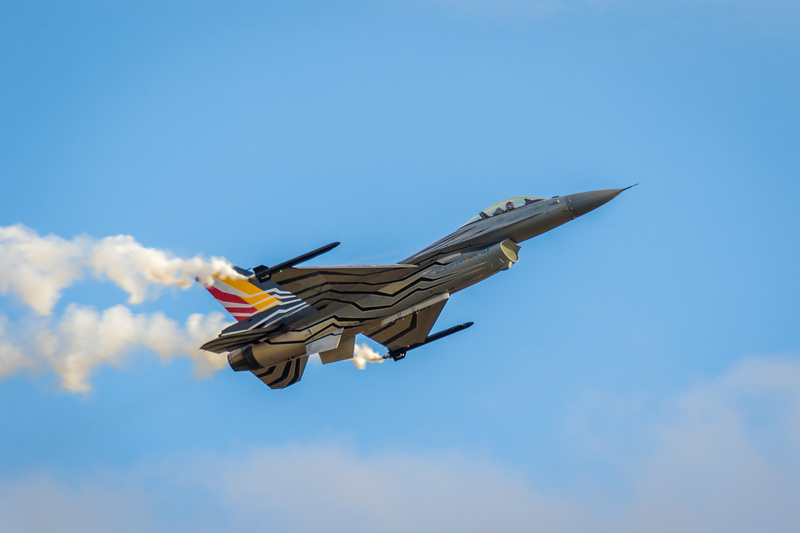 We’ve got a new demo pilot on F-16. 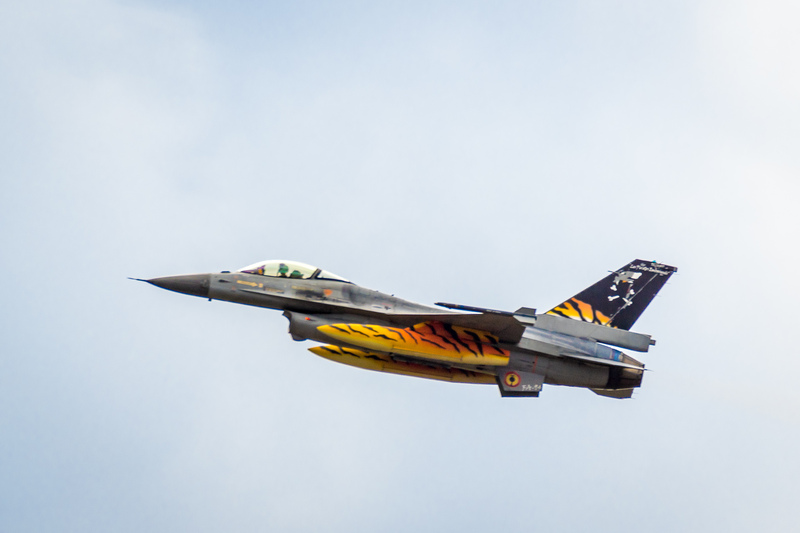 Well, the Belgian Air Force has a new demo pilot that is. He is senior captain Stephan Darte, call sign Vador and flies with 1SQN out of Florrenne Air Base. 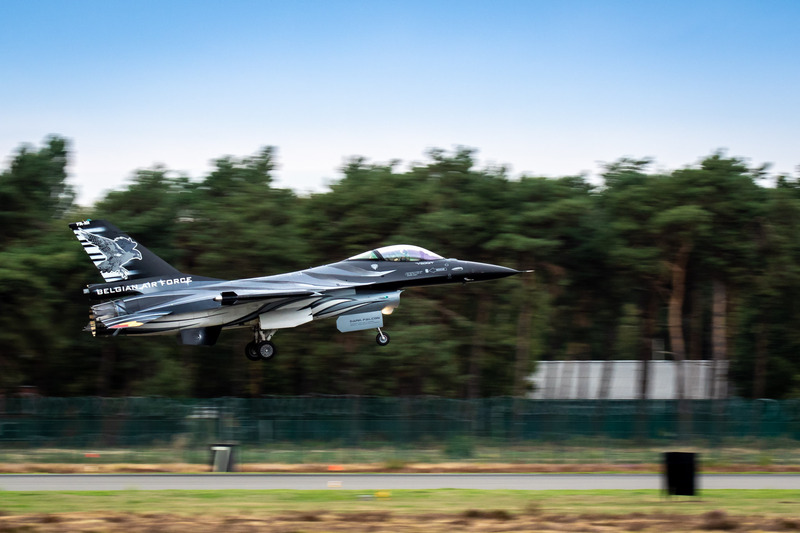 And a new demo pilot also means a new Viper with a new paint scheme. Plenty of reasons to shoot a series of new pics of this beautiful bird. I’m Looking forward to more demos of Vador and his Black Falcon. 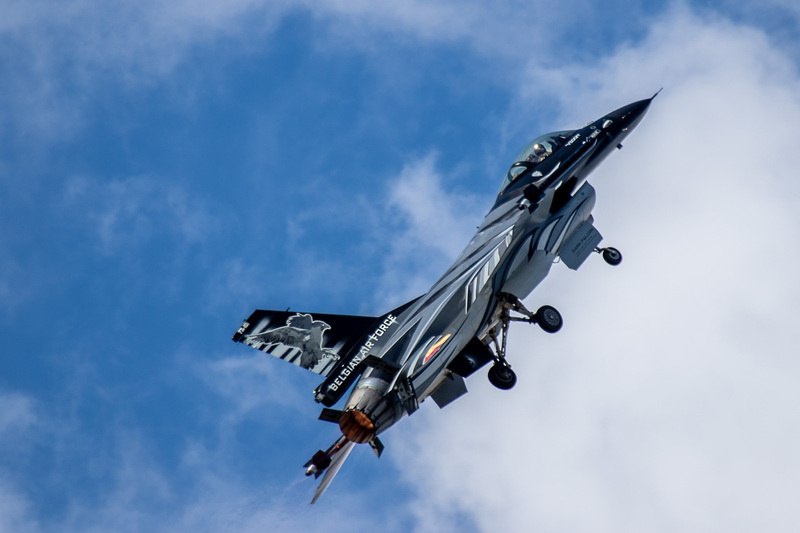 An F-35 Lightning II of the Italian Air Force paid a visit to Kleine Brogel Air Base last weekend. 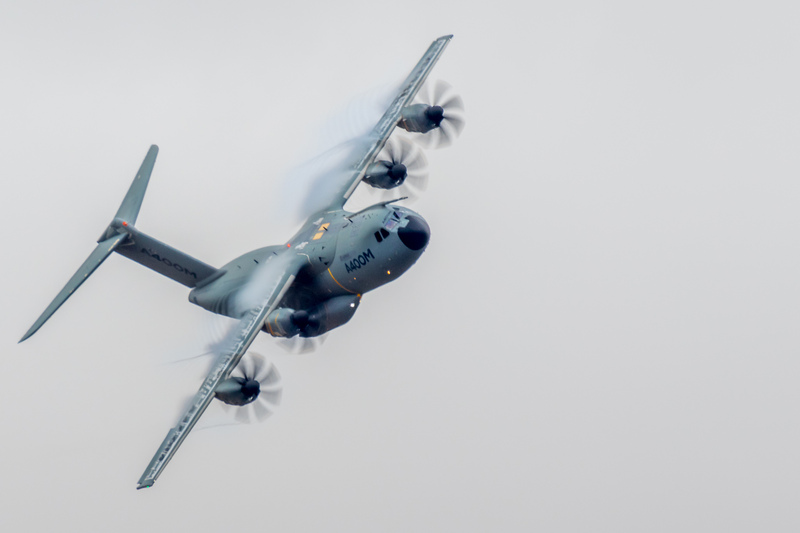 It was on static display all weekend for the Belgian Air Force Days. 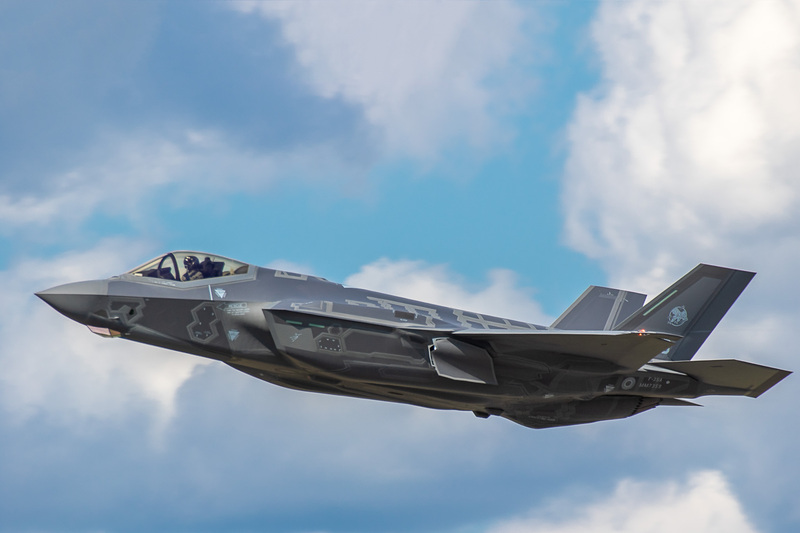 It was the 1st time that an F-35 touched down on Belgian soil. 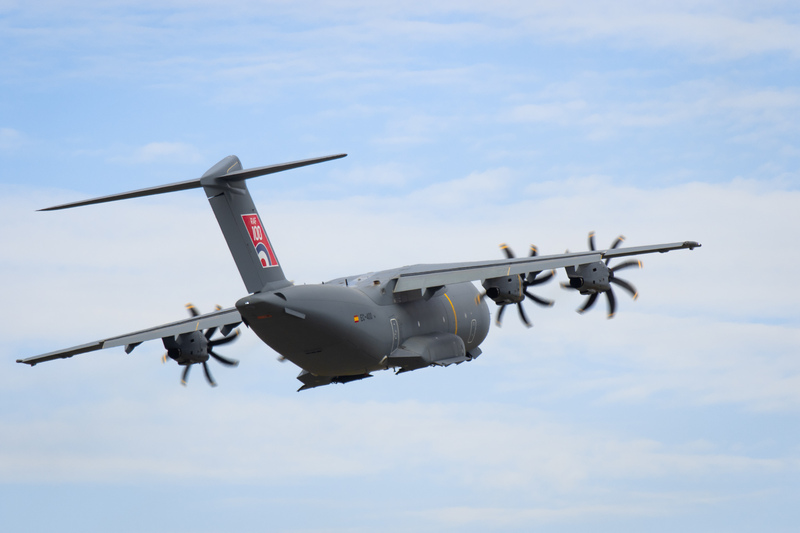 Unfortunately it did take the air on Saturday or Sunday for the crowds to admire it. But it flew in on Friday while KeeBee was open for spotters. Sorta waited all day to get the one shot at catching the F-35 as it arrived at the airbase. And I got it! 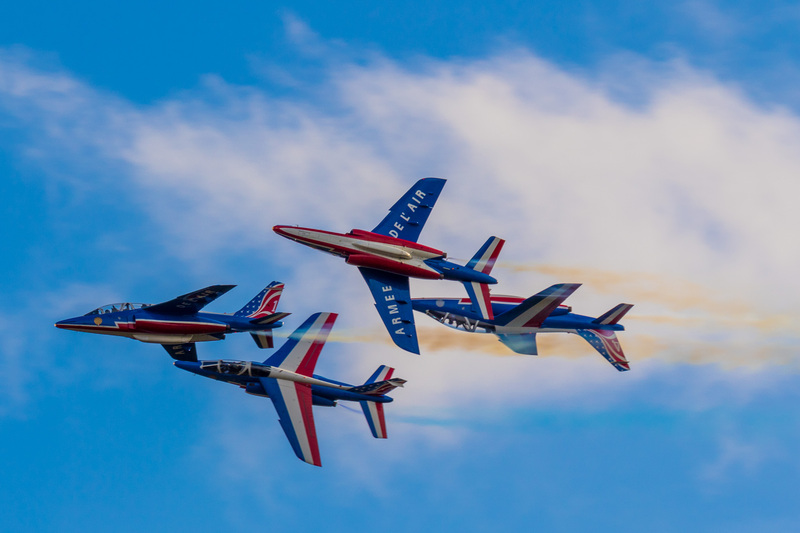 Sanicole Air Show is a staple in my air show season. The Sanicole airfield too close to home to want to miss it. 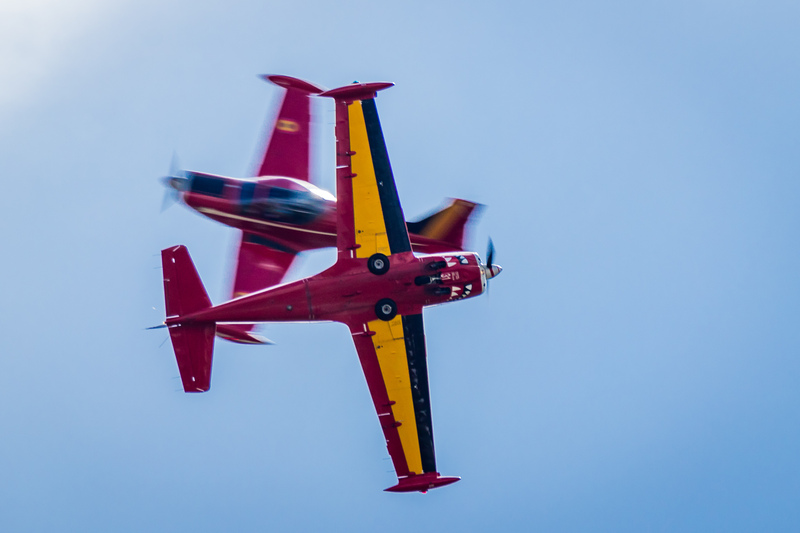 It is a very nicely organized air show, working closely together with the Belgian Air Force base at Kleine-Brogel. 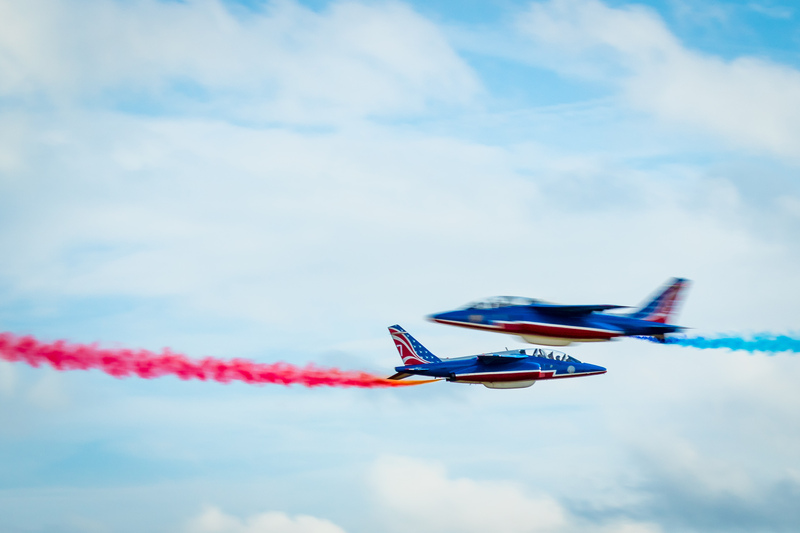 That cooperation ensures a big presence of the BAF airplanes at the show. They usually start off on Friday with a sunset show. And that’s the perfect opportunity to get good shots of the planes shooting of flares. 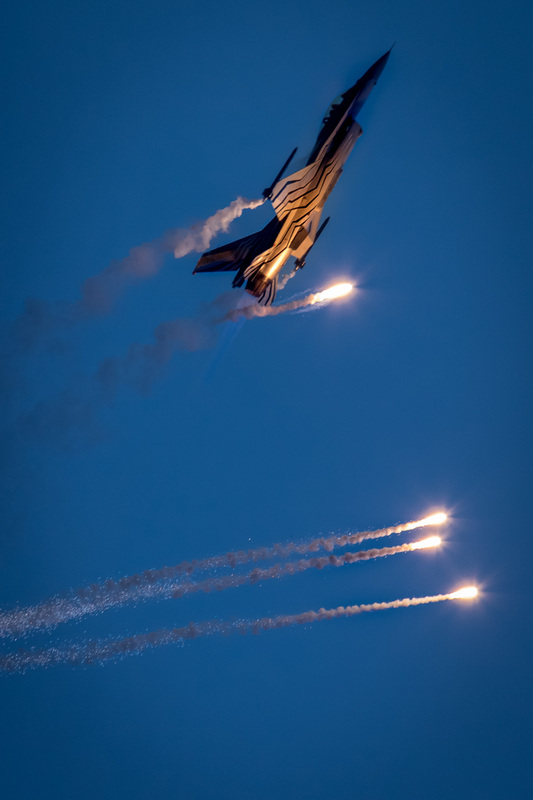 I was very eager to get a good shot of our F-16 demo pilot, Tom De Moortel, call sign Gizmo firing of flares. 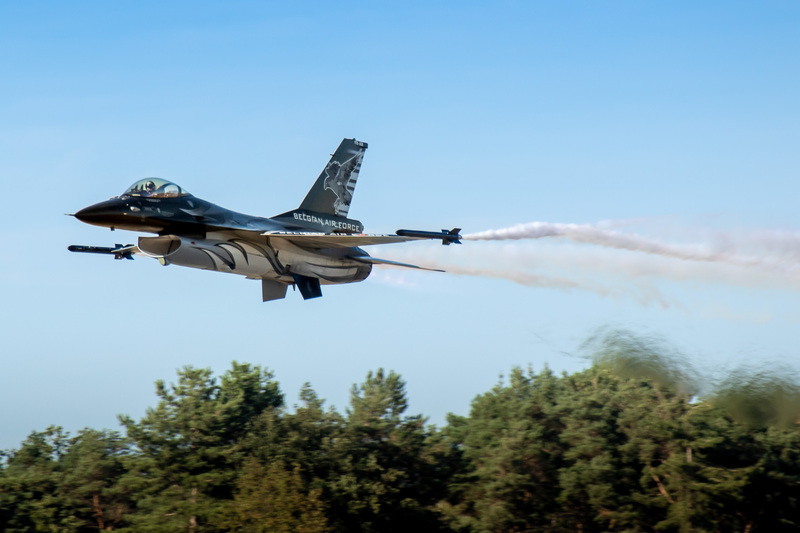 Gizmo is his last year as a demo pilot on F-16 for the Belgian Air Force. I was quite successful at getting a picture of Gizmo firing of flares on Friday night. 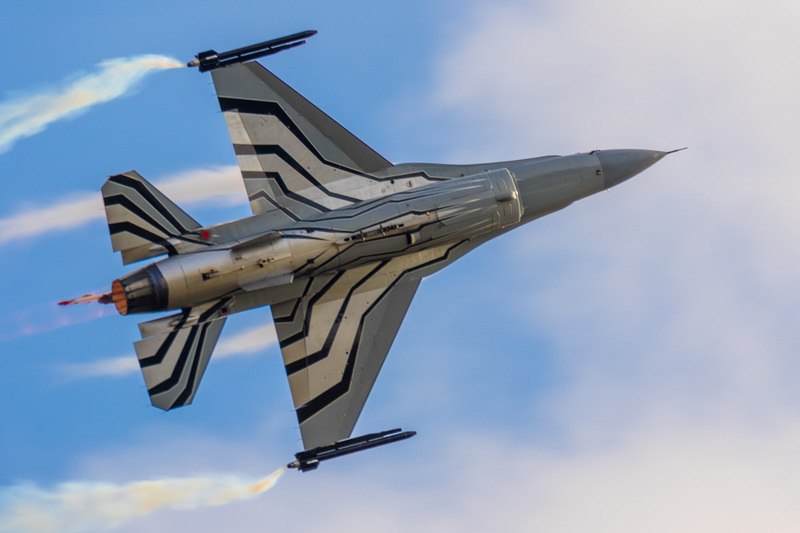 On Sunday, I focused on getting a couple of good close ups of Gizmo’s F-16. And fortunately by the time it was Gizmo’s turn for his display on Sunday, the skies had cleared a bit and there were some specks of blue sky to brighten up Gizmo’s display. Gizmo is a pilot of 31 tiger sqn flying out of Kleine-Brogel AFB. 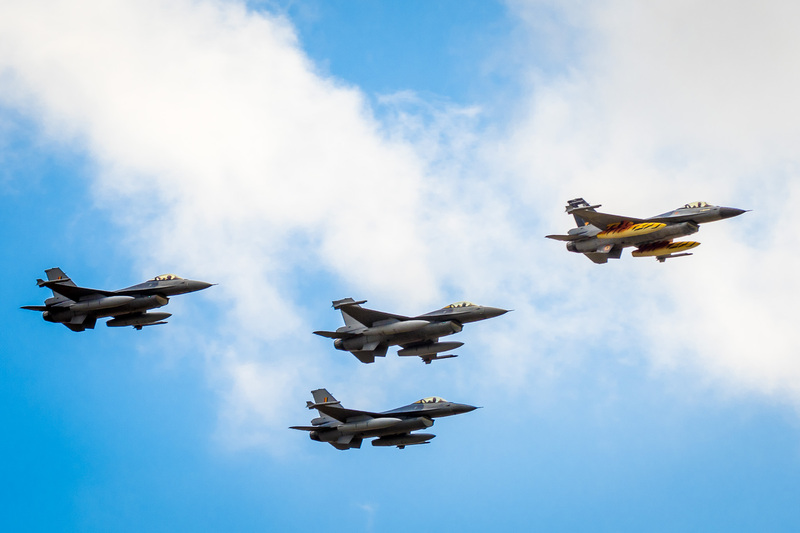 He had is squadron members drop in for a couple of fly-by’s in close formation too. 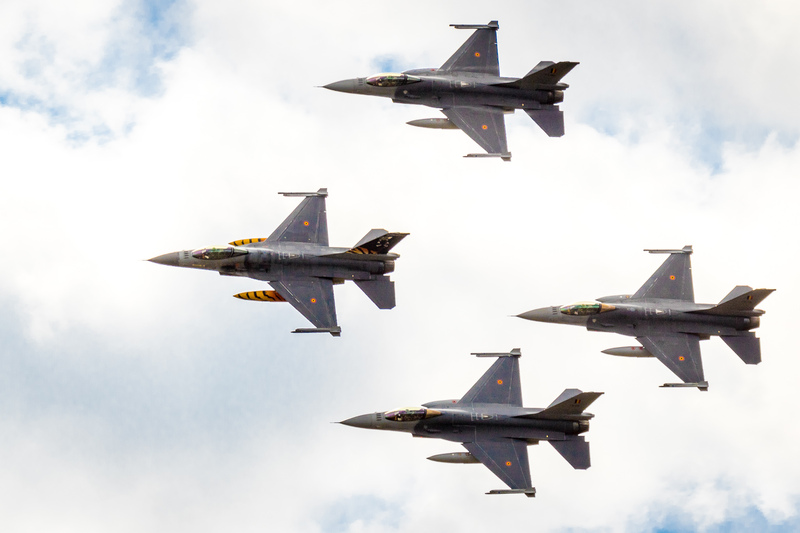 The BAF has a little four-ship formation called The Red Devils. They hold a special place in my heart. They’re all homegrown pilots of course. 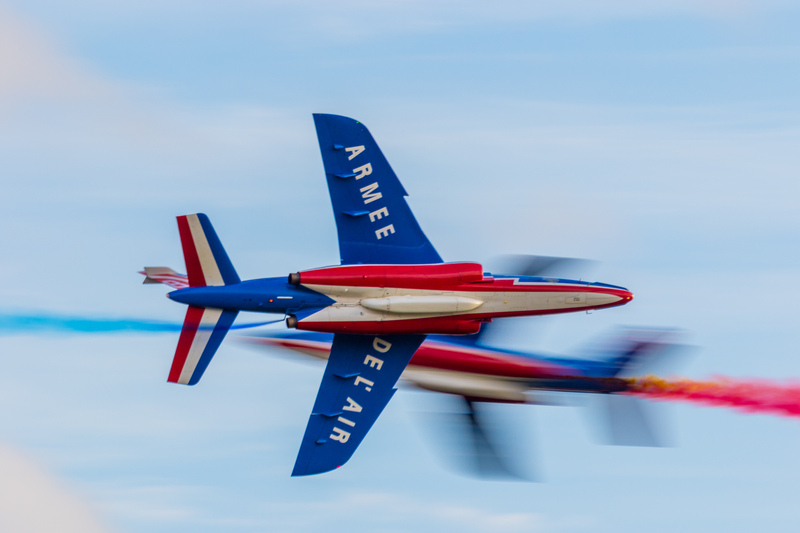 The history of this team dates back to the 1960’s and as a kid I loved watching them when they still flew Fouga Magister CM-170R jet trainers. 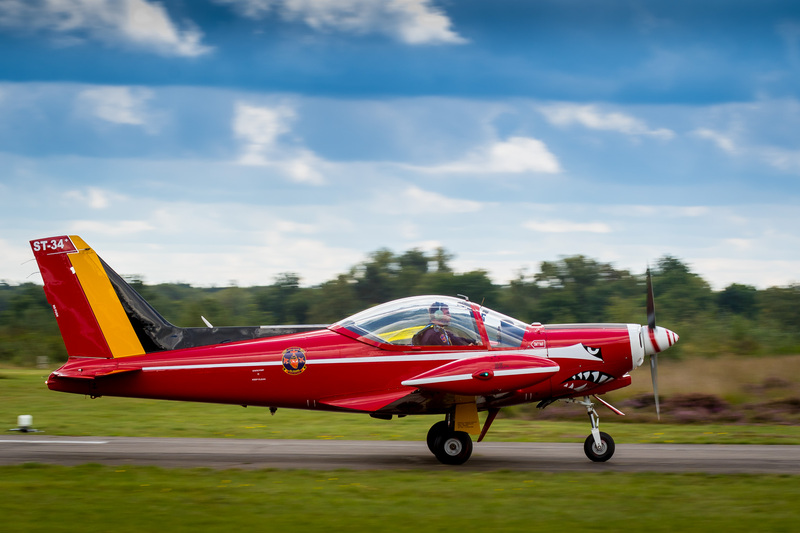 Today, they fly SIAI Marchetti SF260 planes and I still enjoy watching them. 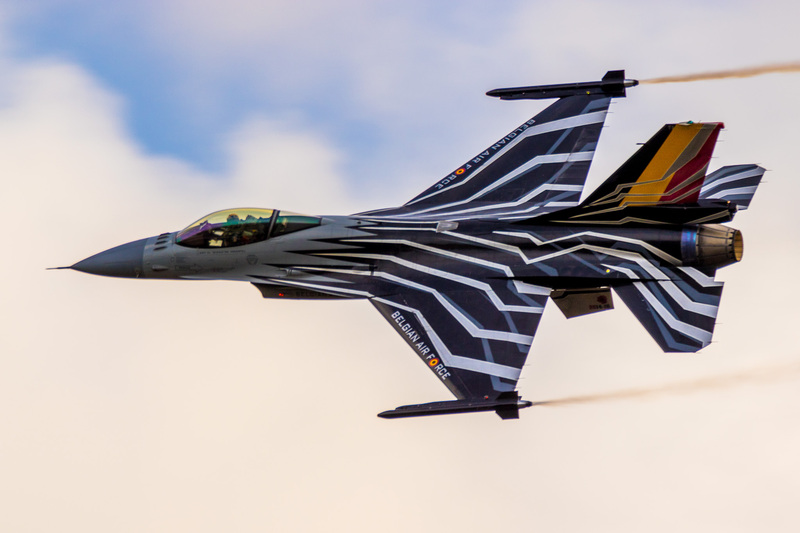 Next to all those cool displays from our own Belgian Air Force, there were a lot of international display and teams at Sunday’s show. Among them, the Saudi Hawks which I’ve never seen before. 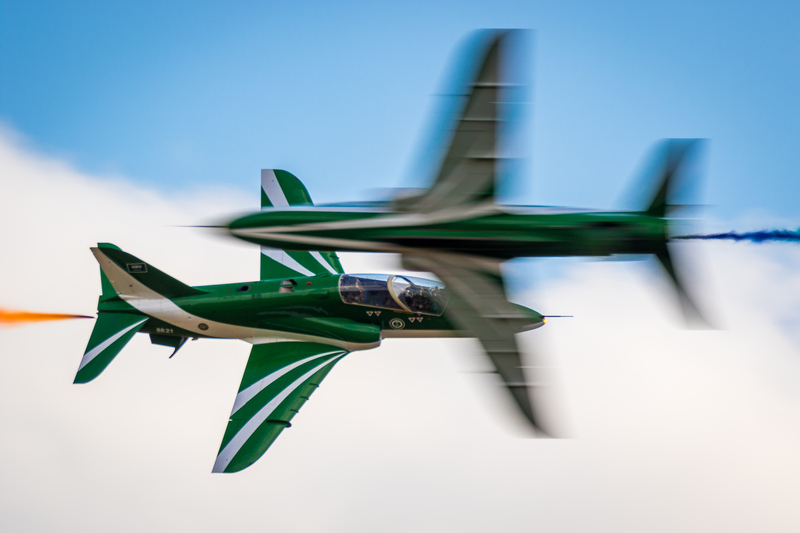 Flying the BAE Hawk in beautiful green and white, they put on a solid show. 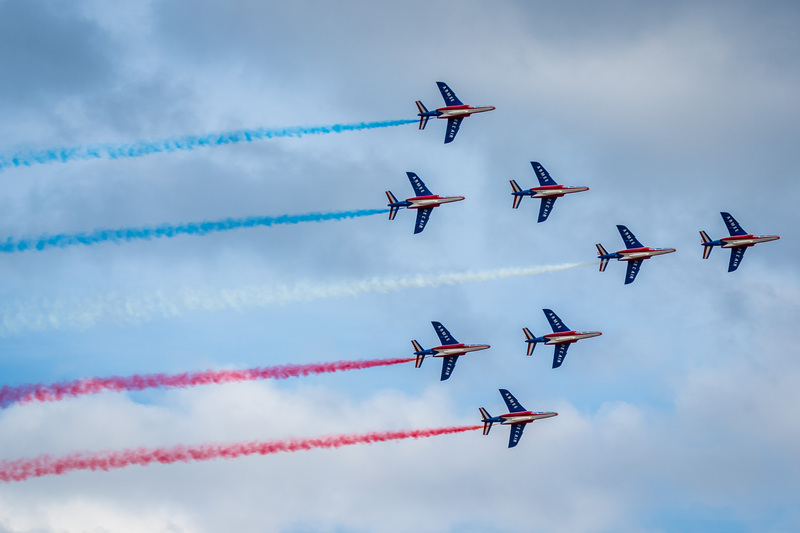 The last display of Sunday’s show was Patrouille de France. 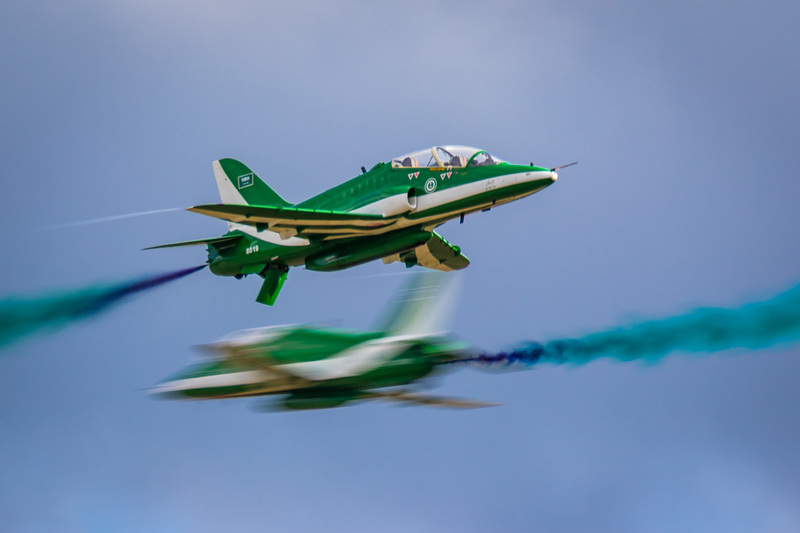 They’re reputation precedes them: they gave an impeccable presentation of their skills and the Dassault/Dornier Alpha Jet they are flying on. 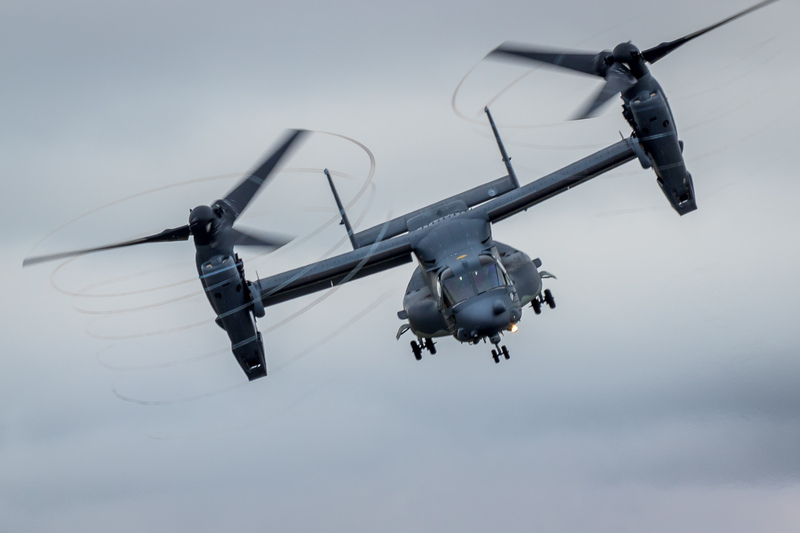 We had quite a bit of fun at last year’s Duxford air show. So much so that my buddy James dropped a list of 2017 air shows to the gang and asked if anyone was up for a few shows. I don’t think he knew what he was getting us into. 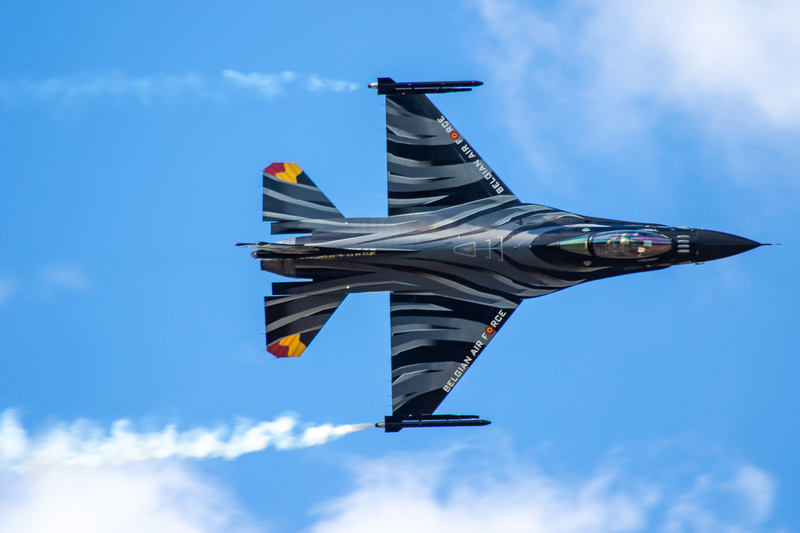 He had the Royal International Air Tattoo at RAF Fairford (UK) on his list. That would have not been a big deal if it wasn’t for the USAF Thunderbirds coming to that show. I had not seen the USAF Thunderbirds in 25 years! 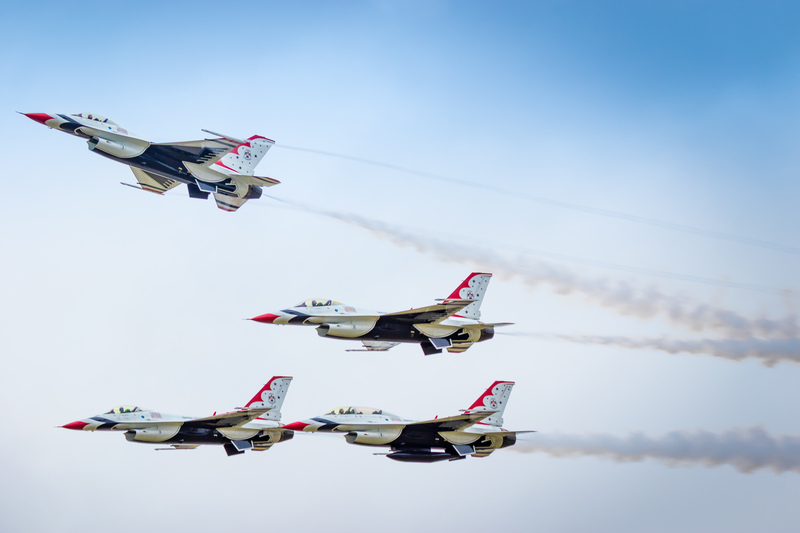 We had not seen the USAF Thunderbirds in 25 years! And not even a little grey skies would keep us away. It was touch-and-go with the weather though. 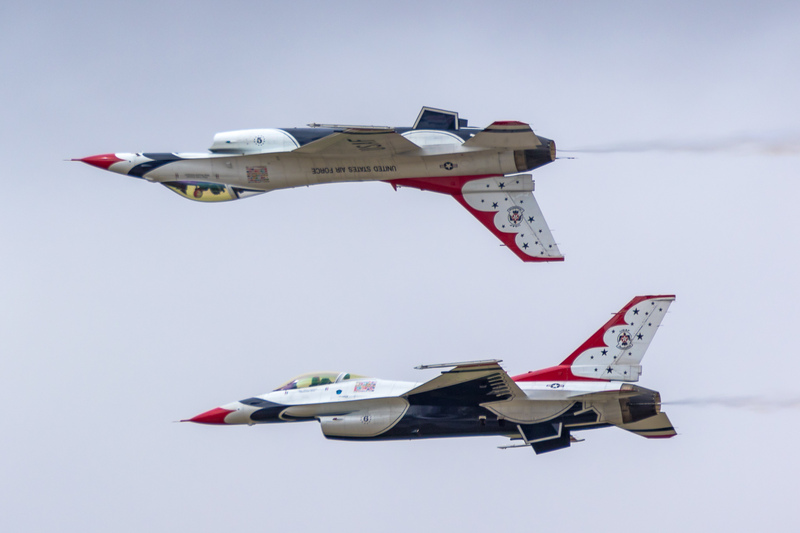 With a cloud base as low as 600ft at some point, some displays got cancelled, but not the USAF Thunderbirds. 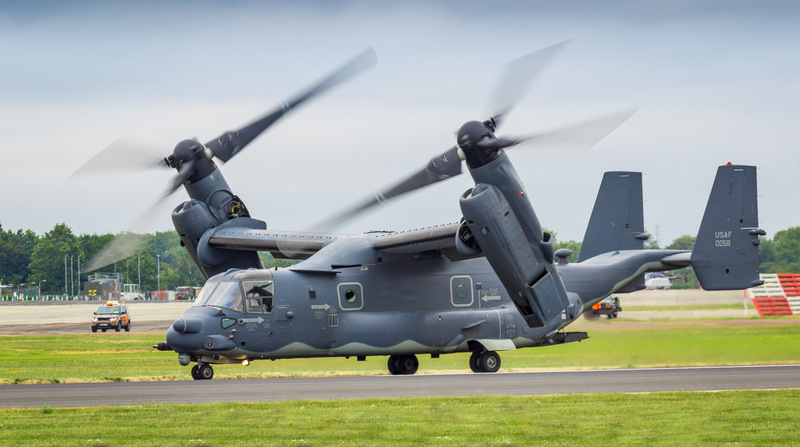 Adding to my excitement were displays by the Bell Boeing V-22 Osprey and the Airbus A400M Atlas. I had never seen them displayed before. Both planes have amazing capabilities. It don’t always have to be fast moving jets to be impressive.